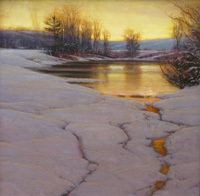 Hello and welcome to WestEndTalk, the forum of the West End Gallery in beautiful Corning, NY. The West End Gallery has served art lovers from its site the Finger Lakes region of New York State for 33 years, opening on Corning’s historic Market Street in 1977. Linda Gardner, Director of West End has an impressive roster of artists, ranging from emerging, young artists to well known, established artists who are collected internationally and are in many of the finest collections in the world. The mission of this new blog is to make these artists a little more accessible. On these pages, we hope to have many of the artists, such as Thomas Buechner, Martin Poole, Tom Gardner, GC Myers and many others, as guest writers, sharing insights into their work, their processes and their philosophies. We’ll follow new pieces of work from their beginnings through to completion. We’ll look inside the studios of many artists and offer the first look at their newest works. We’ll hear the stories behind the works. There are many other plans in the air but what we want mainly is to provide a forum for those who follow these artists and their work, a place where you can interact with the artists and ask questions or make comments. Normally, an artist may only have a few minutes at an opening to discuss their work with a collector, with many distractions present. Here, at WestEndTalk, we hope to offer more in-depth discussions and deeper information for collectors and other artists. Like any artistic process, this will be a constantly evolving thing but mainly, we want you to be part of this. We invite you to participate, to make comments and suggestions about what you do or don’t like. We want you to better know the West End Gallery and its talented artists. Stay tuned! We plan on having this blog up and running with 2-3 posts per week by the end of January but, in the meantime, if you have any suggestions on how we can make this a more accessible site for you, the viewer, please leave a comment.